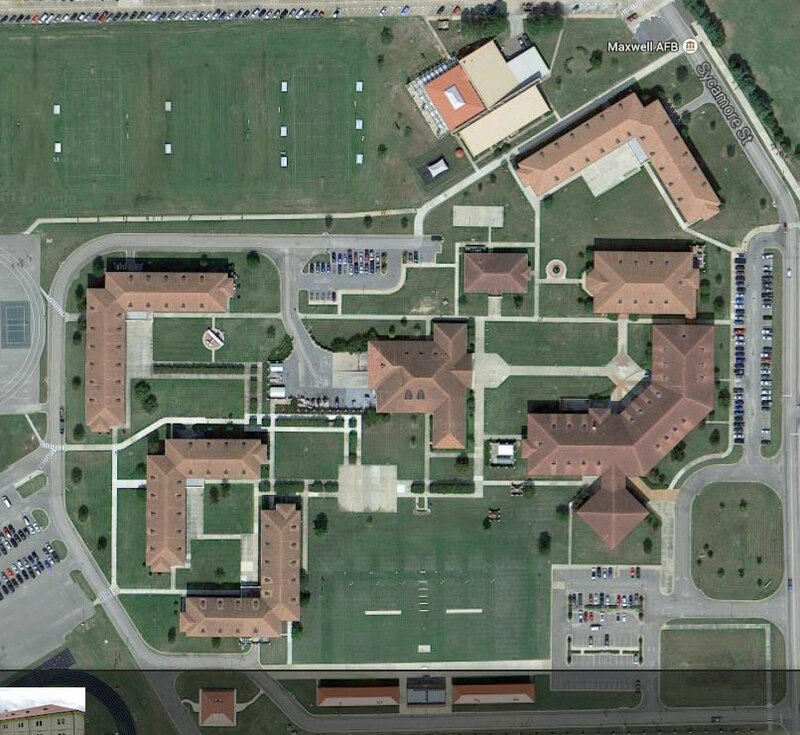 The dorms at OTS are divided into three levels, one for each student squadron (Tigers, Hoyas, Goldhawks). The rooms can support up to three people per room, but most people when I went through only had one roommate and some people ended up in rooms by themselves as people dropped out. Your experience may vary. The OTS complex – your whole world for 9.5 weeks. 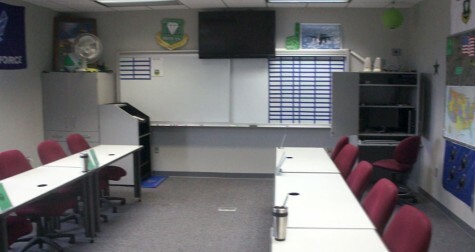 On each level of the dorm there is a common area that can be used for student squadron commander’s calls, announcements, study time or group meetings. There are printers, ice machines, coffee machines (once you earn the right to drink caffeine) and other common supplies in various stages of functioning or not functioning. Your room should not look like this, but probably will on the weekends. In the rooms there are two sinks with a mirror and medicine cabinet, as well as storage under the sink. If you have one roommate you’ll each have your own sink. There is a toilet and shower that you’ll share. Two closets, but one is big enough to hold two people’s things if you have three people in the room. There are three desk/hutch combos for you to work on your studies, and one bunk bed, with a single twin bed for the third person. There’s storage under the beds, and a set of three chest of drawers to hold all of your clothes. 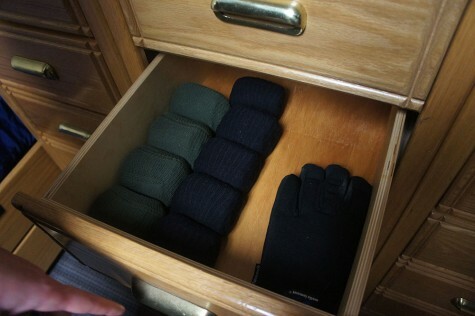 An example of your sock drawer. There is a “dorm bible” that will tell you how to arrange all of your clothing and required items in the room. They must all be folded a certain way and organized in drawers and closets in a certain way. The printed guides are very poor quality, sometimes have missing pages, and are difficult to read and understand at times, so do the best you can and ask for clarification from flight-mates or squadron-mates if necessary. 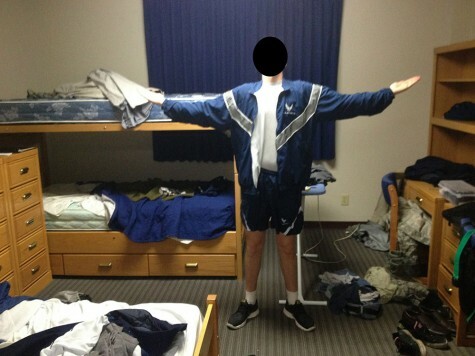 The room will have to be cleaned and in “unused” condition every day before you leave for class. This basically means it should look like you don’t actually live there. No water in the shower or sinks, clean mirrors, clean towels, clean floors, no dust anywhere, everything where it should be. You may find a squeegee helpful in keeping your shower dry after you use it in the morning. Also, the Hoyas (can’t speak for the other squadrons) had a system of using “dirt towels”, old towels that former OT’s had left behind, to sop up water. These dirt towels were then left in the laundry room and washed at night during nightly cleaning details. You get sleep when and where you can. The dining facility is located in the center of the OTS campus, and is where you’ll eat most of your meals with the exception of the occasional MRE (Meal Ready to Eat) or boxed breakfast in the dorms or at a field location. The food is standard cafeteria food, including a salad bar, soup of the day, three options of hot entrees, sides like vegetables and mashed potatoes, a make your own sandwich bar, and a wide selection of beverages and desserts. The only restrictions on what you can eat or drink is that you can’t drink caffeine until you have been approved to do so by your flight commander. 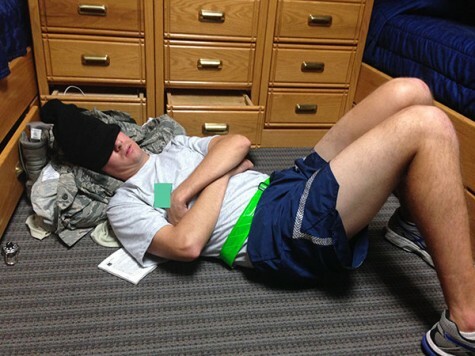 For prior-enlisted, this will be a change since you couldn’t eat dessert in BMT but can in OTS. An average selection of desserts includes several kinds of pie, several kinds of cake, pudding, Jell-O, soft serve ice cream, fruit cobbler, sugary drinks, and pop-tarts/granola bars which you can later take with you from the cafeteria upon flight commander approval. Similar to BMT, there are many strict procedures for entering and exiting the dining facility, as well as how to get your food, walk with your food, sit down at a table, eat your food, and clean up your table. These procedures are detailed in the OTSMAN, but you’ll have a hands-on lesson every meal until you learn it. As for time, I felt like you are given quite a bit more time to eat than at BMT, though this has apparently changed at BMT and they have plenty of time to eat now. There were a few times where I was rushed to finish my meal, but usually I was able to finish at a relatively urgent pace. Gilbert Hall is the academic building, which has two large auditoriums for group lectures, as well as the flight rooms where each flight will receive instruction from their flight commander. 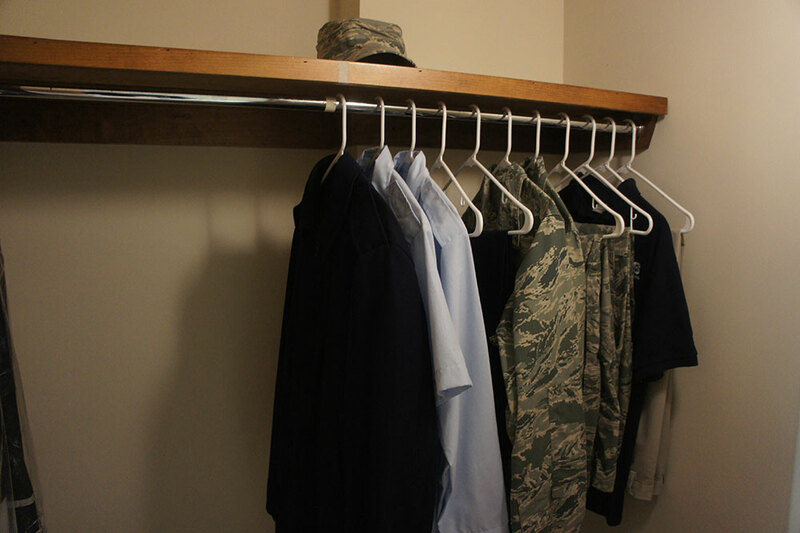 The flight rooms are your home base, you’ll return to these rooms throughout the day and they will be your default location when you don’t need to be anywhere else. As you phase up, you can decorate these rooms with flare for your squadron, and you’ll see all of the decorations left by previous classes. A flight room, where most of your lessons are taught. The academic building also houses the administrative offices for personnel and medical workers, as well as all of the commissioned staff that run OTS. The dorms, dining facility, and Gilbert Hall is where you’ll spend 99% of your time at OTS. 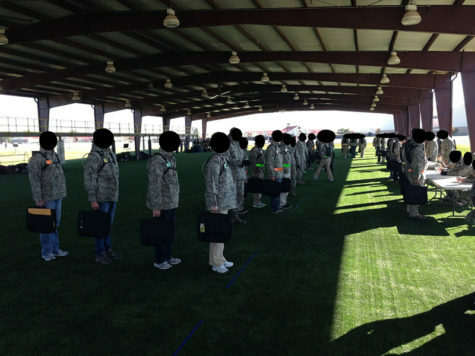 There are a few other locations of interest throughout the complex such as the “dojo” which is a covered astroturf surface where you’ll do PT and combatives (hand to hand combat training), volleyball courts, running tracks, and parade field.